You are here: Home / Dog Friendly Businesses / Have a dog friendly business? Tell the world with a free window decal from Seattle DogSpot! 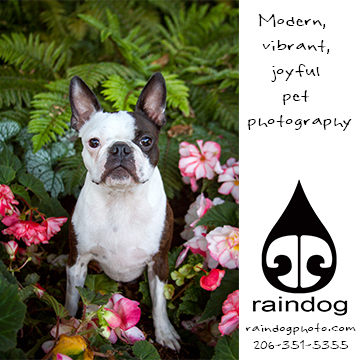 Have a dog friendly business? Tell the world with a free window decal from Seattle DogSpot! 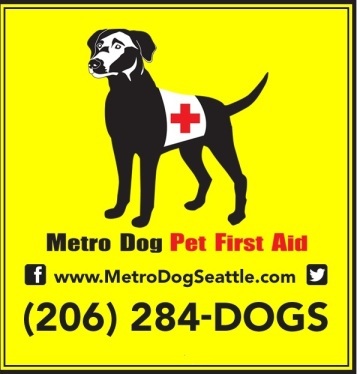 If you have a dog friendly business in the Seattle area Seattle DogSpot wants to help you tell the world! I wanted to remind dog friendly businesses that we have decals that you can put in your window to let potential patrons know that they are welcome to bring their dogs into your establishment or on your patio. One decal says “Dog Friendly Business”. All the decals have the Seattle DogSpot logo and a background of the Seattle skyline. We think they’re gorgeous but we’re a bit biased. And the best thing about these decals? They’re free!!! After we get your email we’ll drop a decal in the mail and you should get it in a couple of days. So let your dog friendly business flag fly and get one of our cool (and free) decals to slap on the window of your business. Sure. What’s the business name and address? Hi! Interested in -Dog Friendly Business and/or -Dogs Welcome for our dog treat truck! No problem! What’s your address? 16039 10th ave. NE, Shoreline 98155 that is where are treat truck is when not on the road! Wow, what a cool idea to let customers know that their favorite furry friend is welcome. I have owned dogs in the past and I always wanted to take my dog with me to places, but it was hard to know if they allowed dogs. This little decal is a quick fix for that! Thanks for the post! Great! Please let me know your address and which one you want and I’ll send it right away. OK thanks! Am out of town now but I’ll send it after the holiday. If the decals are still a thing I would love the dogs welcome one for our pub! Sure! I’ll send one asap.